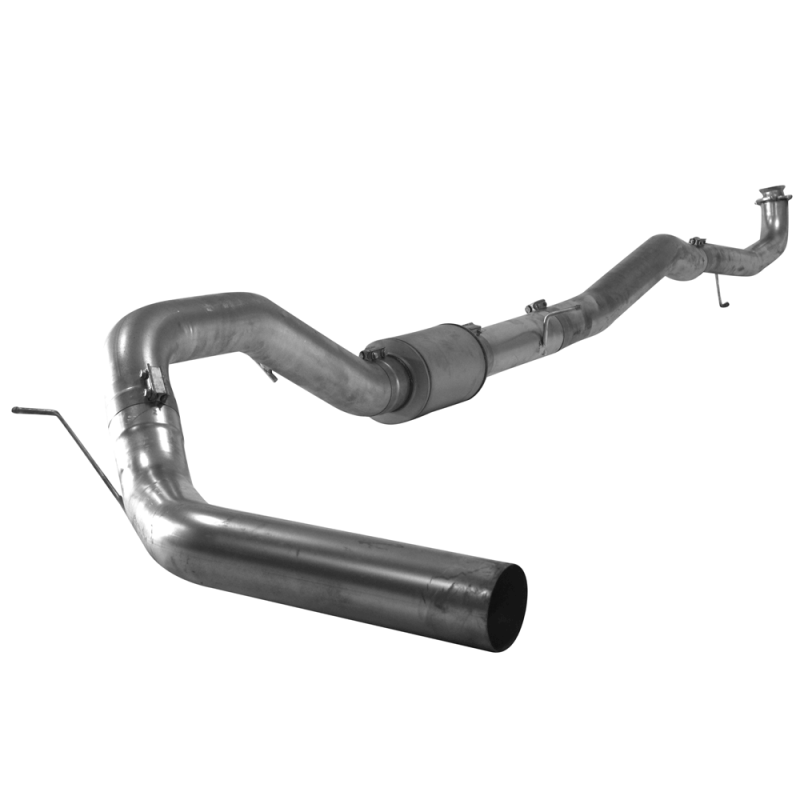 Flo~Pro 4" stainless steel downpipe back single exhaust system for 2017 Chevy Silverado 3500 & 2017 GMC Sierra 3500 cab & chassis crew cab models only. Only fits models equipped with the OEM style 4-bolt flange off the turbo direct pipe! Fits Cab & chassis Crew Cab models Only!!! In 2017, GMC made a production change in the connection between the catalytic converter and the turbo direct pipe on the L5P. Please ensure you have the newest 4-bolt style flange before ordering this kit. If you have a 3-bolt flange please refer to our 15-16 LML exhaust systems. WARNING! These products are capable of disabling emissions equipment. If using DPF/EGR removed tuning, these high performance products are intended SOLELY for offroad use or closed-course racing use.